What are Loops For In Programming? In programming, we often get situations where we would like to repeat a certain piece of code again and again. Of course, we could just copy and paste this code one after another – however there are many negative elements to this. You’d have to know how many times you wanted to repeat the code at compile time – i.e. you could not calculate this at run time as you’d have to know beforehand how many times you need to ‘paste’ your code in. You may know the number of loops that you want to do at compile time, but then again – you may not. Your code becomes a monstrosity – picture the scene, block after block of code with the same things repeated over and over again. This becomes very hard to maintain, your code takes up more disk space (not as much of an issue these days as it once was when there was very limited hard drive space but still there should be a drive, as a programmer, to ensure that the code that you right is as clean and efficient as possible. It’s not maintainable – you’ll spend hours and hours maintaining one block of code that is actually now 1000 blocks of code that could have just used a loop. Imagine you need to change one calculation in your block of code. Now you have to do it 1000 times, 10,000 times, 100,000 times, maybe even 1 million times – you get the picture. Loops can be used in programming languages where we want to do the same (or similar) set of actions (lines of code) multiple times. 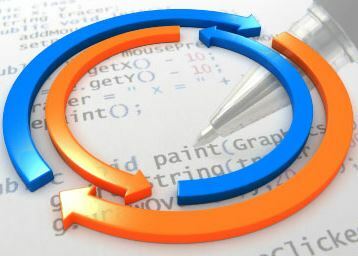 All modern programming languages support looping and most support the different common types of looping such as For Loops, While Loops and Do Loops. There are two main types of loops in programming – when we say types we don’t mean, for example, ‘for’ is a type of loop. We’re a level higher than that. The first type of loop is where you are repeating a block of statements for a known number of times (iterations of a loop). For example, if you know before you enter a loop that you want to loop around it 365 times, one for each day of the year – then you are using this type of loop. This type of loop is known as a deterministic loop. This means that the number of iterations is known and defined prior to entering the loop. This loop will run the specified number of times unless it hits an ‘exit’ statement – which you can use in your code, for example to exit a loop if an error has occurred. Indeterminate iteration loops where the number of loops is unknown until the loop is executed should always have an exit strategy! What does this mean? It means, don’t get caught in an infinite loop (even the best get caught out sometimes)! Infinite loops not only hang your application – causing much annoyance to the user, but also can cause the system they are running on to run out of memory and crash – again this causes an even more infuriated user. Remember, defensive coding is king! As an example, if you have an indeterminate iteration loop you obviously don’t know how many times it will loop – but we can take precautions to some degree in almost all circumstances where they are used. Firstly, errors and error handling. Can your loop continue if one of the passes encounter an error? Technically, a lot of the time it can – but from a programmatic logic point of view – should it continue and is there any point in it continuing. If a loop is going to occur hundreds of times but on the second loop pass there’s an error and this means your final result will be wrong, exit the loop and display an error message to the user rather than leave them hanging (in the application sense, literally!). Secondly, for some indeterminate loops there’s a sensible ‘maximum’. For example, if your loop on average iterates 50 times, occasionally iterates 100 times and rarely iterates 250 times then it’d be sensible to code in your application that if we get to the 500th pass of this loop, somethings probably gone wrong – exit! You’d rather have a small bug to patch that is very infrequent for a minority of users than to have users banging their heads in frustration against the keyboard! Another example would be reading a file. You might want to loop line by line through a file and output it to the screen. You could loop 50 times – but what happens if there are 66 lines in this document. This is another example where the indeterminate loop is your friend. The number of loop passes is indeterminate as the number of lines contained in a file that the user passes to your application is indeterminate. Whilst you may want to set maximums in your application – i.e. only files 1000 lines or less, you application won’t be very useful if you say “yes it can process files, as long as they are exactly 12 lines long!”. 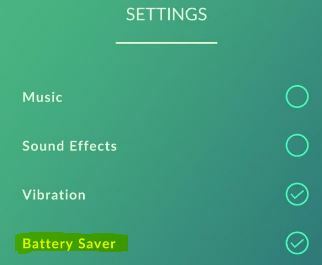 Pokémon Go Brings Back Energy Saving Mode! 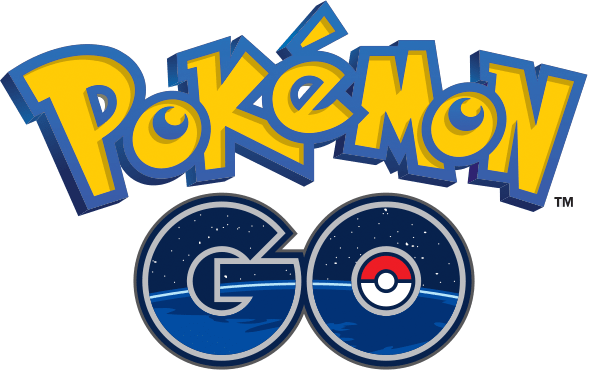 Pokémon Go (affectionately known as ‘Pogo’ – p.s. that’s not the thing that we used to bounce around on years ago) has released a new update. A previous update removed, rather than fixed, things that were broken in the app. This sucked big time – especially where energy saving mode was concerned. Energy Saving Mode was a cool nifty thing that meant that Pokémon Go wouldn’t quite eat as much battery as it usually does while running. For example, it’d kill the screen off whilst your walking around with it in your pocket – but the app would still continue running allowing you to get in your all important steps to start hatching your eggs. 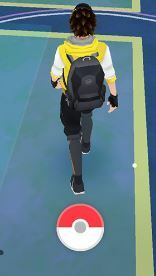 It disappeared in a previous update a couple of weeks ago and Pogo players around the world were in bits. Why? Even with energy saving mode enabled, Pokémon Go isn’t the most conservative app with regards to battery usage. And to some degree, that’s not surprising. I mean it pretty much uses every capability of a modern smartphone – and some of the features, like GPS, it’s using constantly whilst others like the camera are more infrequent but nevertheless significant drains on the battery. But without Energy Saving Mode, well – it’s a whole new ball game! iPhones that you could once charge once every few days now needed religiously charging every evening to ensure you didn’t run out of battery at the critical point when a wild Mewtwo appeared! Developers Niantic made no reference to the fact that they were going to remove the Energy Saving Mode feature – and we started to fear it had been killed off forever. Thankfully, it was only removed from the app pending repair. Although, the developers didn’t let us know this – leading to many messages from concerned fans about where the feature had gone. But good news Pokémon Go fans – Energy Saving Mode is back! The new improved energy saving mode means that you don’t get random app freezes when it’s coming out of (or trying to come out of) energy saving mode when you remove it from your pocket. If you’ve not enabled it – you really should. There’s no need for the screen to be on whilst your wandering around with it in your pocket. Enabling Energy Saving Mode in Pokémon Go is simple. And hey presto – battery life extended, best app in the world still working! WordPress Going Slow? Read This Before You Upgrade Your Hosting Account! From time to time we all experience slow downs on our websites. Unfortunately, despite our best efforts, these can happen occasionally and can be quite frustrating – particularly when we think we’ve put in lots of time to make our site run like a well oiled machine. Wordpress Hosting accounts used to be pretty niche – but they are becoming increasingly common now. Essentially, WordPress Hosting accounts are just a branded version of the commonly known shared hosting. Wordpress Hosting accounts usually (but not always) have less disk space and bandwidth available then a regular shared hosting account – and they normally come in a bit cheaper. Maybe just a couple of pounds per month. You’ve landed here, you’re WordPress blog is going slow and you don’t know why. You think you need to upgrade your hosting account – but before you do that, you might just need to a couple of things to get your blog back up and running at normal speed. Is your site experiencing an increase – or a surge – in traffic numbers – maybe you’re site has just tipped over a certain point where the numbers of visitors are placing a strong demand on your hosting account and you really do need to upgrade. Or, maybe you’ve got a sudden surge in numbers – these are usually temporary but might occur when you make a post that is particularly popular – whether this be because it’s an article on the latest fad or more than a touch controversial. In these cases, the surge will usually die down and things are back to normal. Is your site under attack? DDoS attacks are affecting more and more sites these days. Have you put in some controversial criticism of a group or organisation recently? Maybe they just want to get there own back a little. Check your hosting accounts logs to see if this is an issue – if you’re struggling with this or you’re not sure, contact your hosting provider for assistance. Is it just certain pages that are slow? Maybe it’s not your whole site, maybe just a page or two. Are these particularly large, feature rich or image heavy? These can all be reasons for causing a slow down. However, one of the main culprits on WordPress blogs, particularly as they got older, are….. Yes, that’s right, plugins add cool features but also can slow things down. If you’re on a limited shared account, you probably want to try and keep plugins in single figures. Even with the largest hosting accounts on the markets, you have to be careful about having a bazillion plugins. The more plugins you have, the slower your site is likely to be. Furthermore, every additional plugin that you add to your WordPress blog increases site maintenance and increases the risk of cross-compatibility issues (plugins have to play nicely together or they can mess up your blog). Inactive plugins – they’re inactive, so what harm can they do? Right? Wrong! When I first started using WordPress I thought a similar thing. If a plugin sits there inactive, it’s OK. It’s inactive – can’t do any harm other than take up a little disk space, right? Wrong again. Inactive plugins are a major cause or massive slowdowns – particularly affecting older blogs, that tend to increase the number of inactive plugins are their sites grow. If a plugins been inactive for a while, it’s time to throw it into the digital bin. Banish it from your blog and reap the speed benefits. Your frustrations will decrease, your blog maintenance workload will decrease and you’ll have happier readers. And hey presto – all your inactive plugins are gone. Have a quick click around on your blog. You should find that it’s faster than it was. The more inactive plugins you had, the greater the increase in speed that you should notice. Are you a WordPress blogger? Have you got any tips to share with us how to supercharge the speed of your blog? Let us know in the comments below!